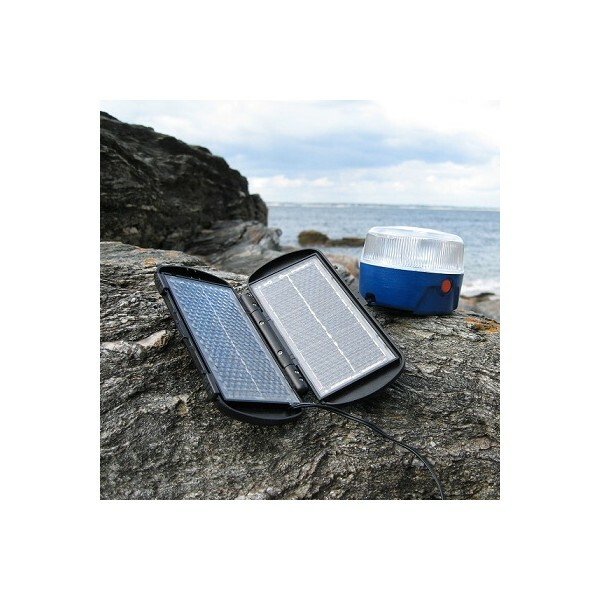 This solar kit allows to charge 1 solar lamp SOLTYS thanks to a light and foldable solar panel. It is perfect for travels. 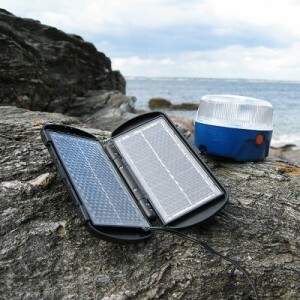 The solar lighting kit is very simple to use: place the solar panel in the sun and connect the lamp to begin the recharging. Once charged, the lamp is immediately ready-to-use, wirelessly, with 3 possible modes of ignition. The whole solar kit is less than 400g, which is perfect for travels. LED lighting is both powerful and comfortable. The lamp can shine about 15m². All everyday life activities are possible..
Foldable solar panel 6V 200mA. 8x16cm (folded), weight 160g. 1 rechargeable LED lamp SOLTYS. 3 ignition modes : Maxi/Eco/Flash. Charging time : 1h of charging gives 30min of light. Max : 8h of light.